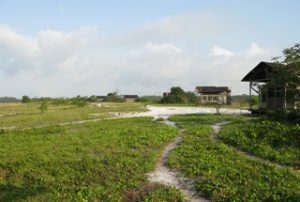 Feel at one with nature in the middle of the savannah looking out over the coastal grasslands towards the ocean. 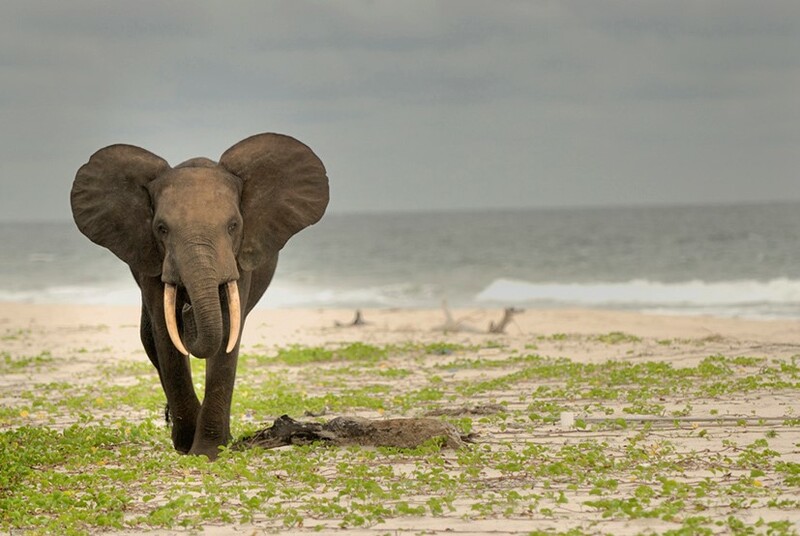 While relaxing on the private terrace of your tent or enjoying a drink in the restaurant there’s always a chance of seeing some elephants and buffalos on the savannah. 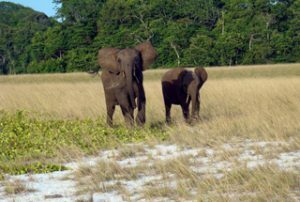 Some have spotted wild chimpanzees around the camp, and every now and then a curious elephant might even come poking in! 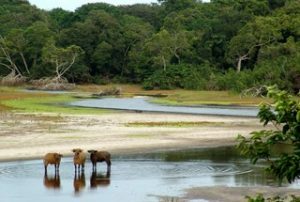 This attractive patchwork of savannah, forest, swamp, and small coastal lagoons in proximity to an endless stretch of beach is also perfect for turning adventurous. 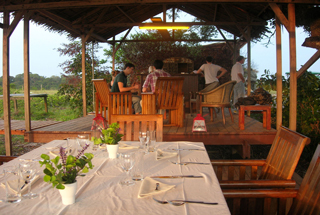 Discover the camp’s various surroundings on one of our guided walks, cycle on the beach or kayak on Louri Lagoon. Take the 4×4 and visit the research camp of the Max Planck Institute in Tassi Sud, 30 minutes from Tassi Savannah Camp. 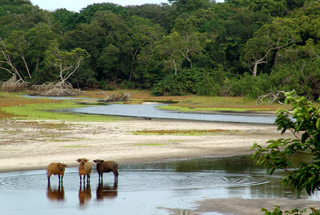 From here, researchers go out into the forest to carry out studies amongst the shy, elusive gorillas and chimpanzees. This also acclimatises the animals gradually to the presence of humans in the vicinity. 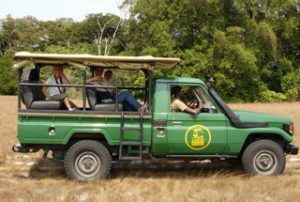 In the future, this habituation programme will allow a controlled form of tourism to track and view the gorillas and chimpanzees, while at the same time allowing researchers to gather data on all aspects of their behaviour and ecology.